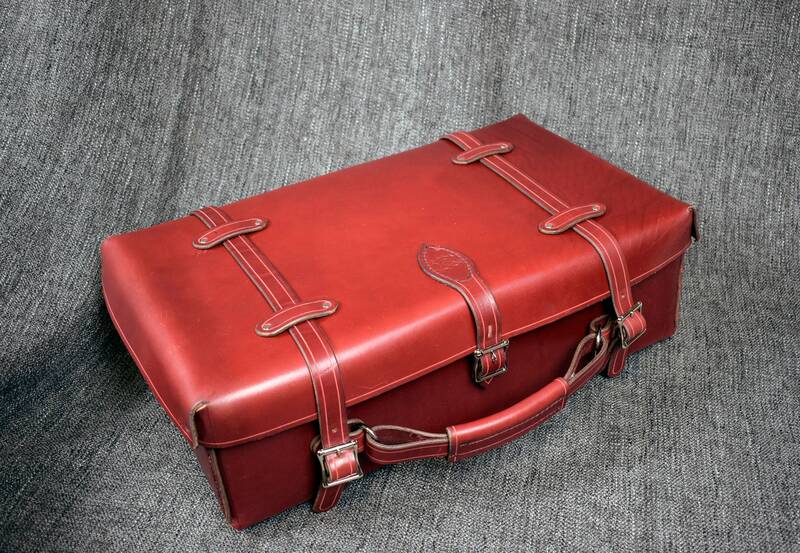 *Design update: The lid of the suitcase will now be 2" tall instead of 1" and will completely overlap the main body of the suitcase in order to ensure complete closure. 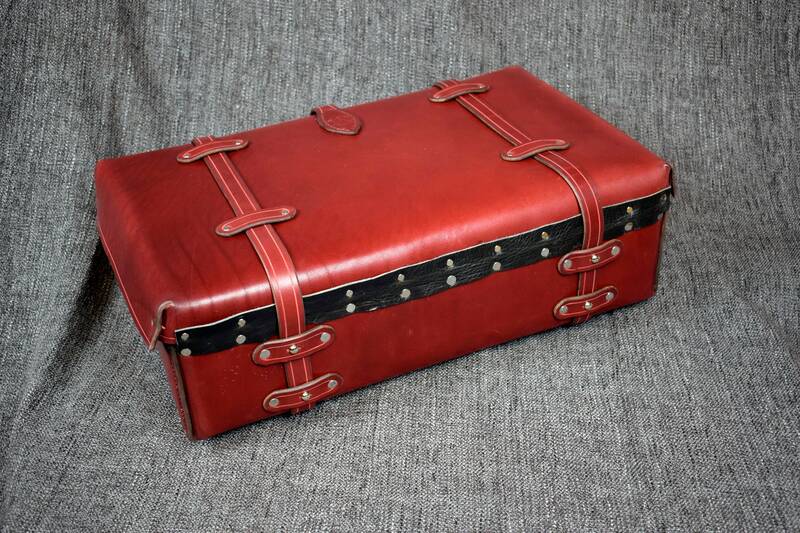 This listing is for a handmade leather suitcase. 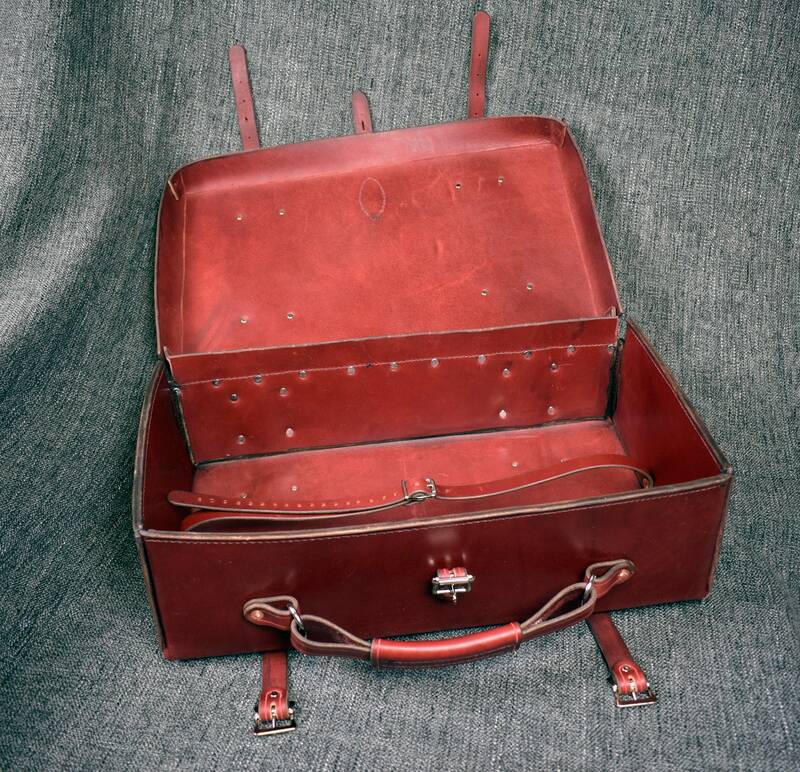 The suitcase is closed via 3 buckled straps and 2 straps with snaps to help the sides keep their shape. 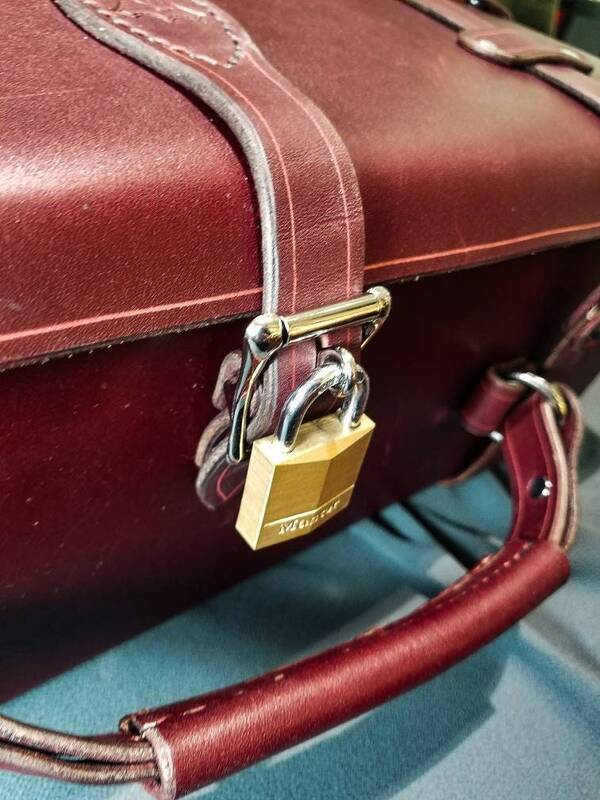 The center strap buckle has a ring that can be used to attach a lock, securing your possessions inside. 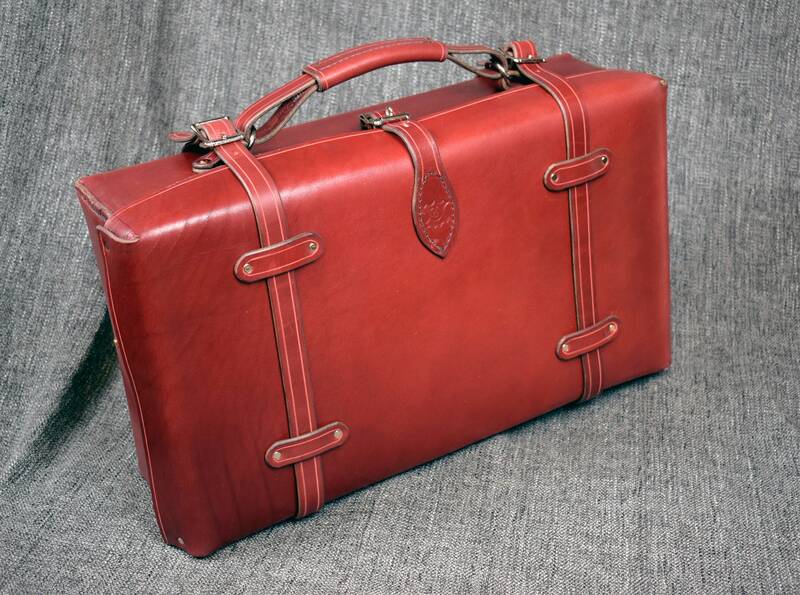 The handle is made of 2 layers of leather, stitched in a loop and then attached to 2 solid steel D rings which are bolted to the front of the suitcase. 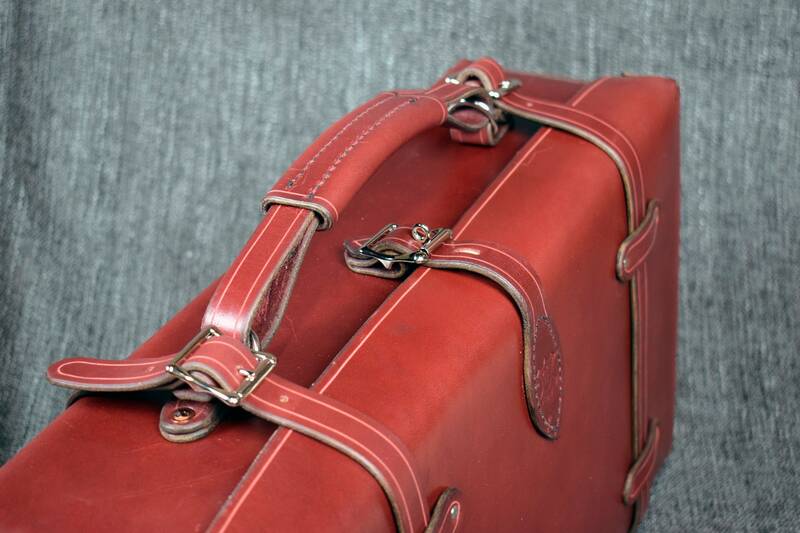 Inside there is a single buckled strap for securing your belongings. If interested, the bag can be lined in pig skin for an extra $30, message me for details. 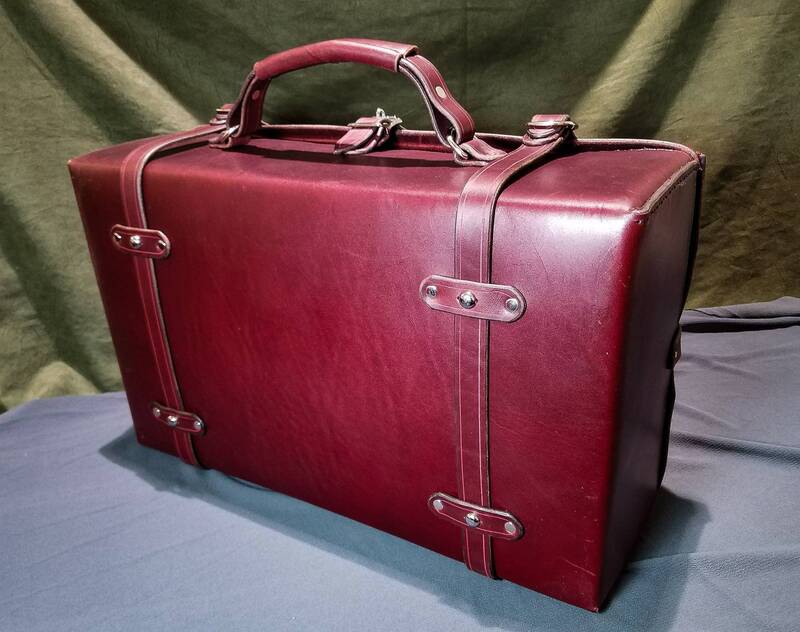 The suitcase is designed with carry-on luggage in mind, but if you would like a larger or smaller size feel free to message me. Other customization is available, feel free to message me for details. 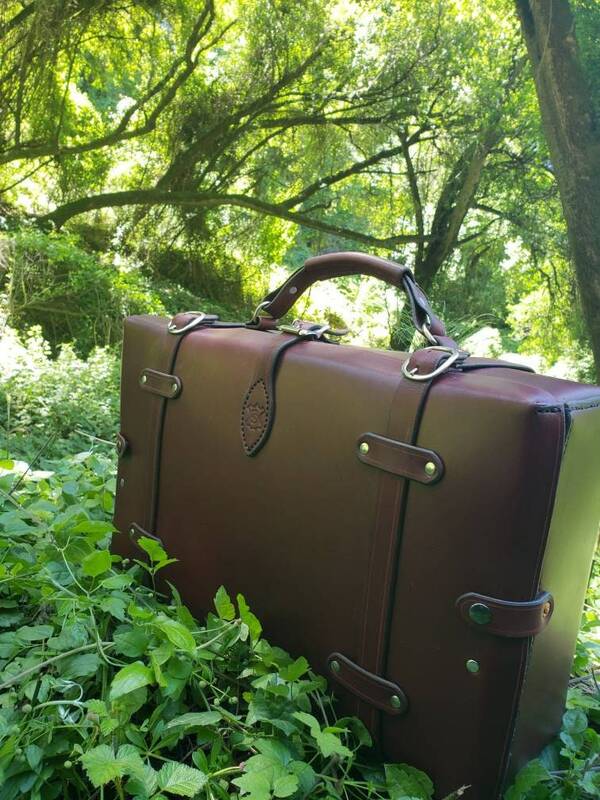 Wow, this is the nicest bag I ever bought. I think it will outlast me! This is sturdy and solid. It looks fantastic. 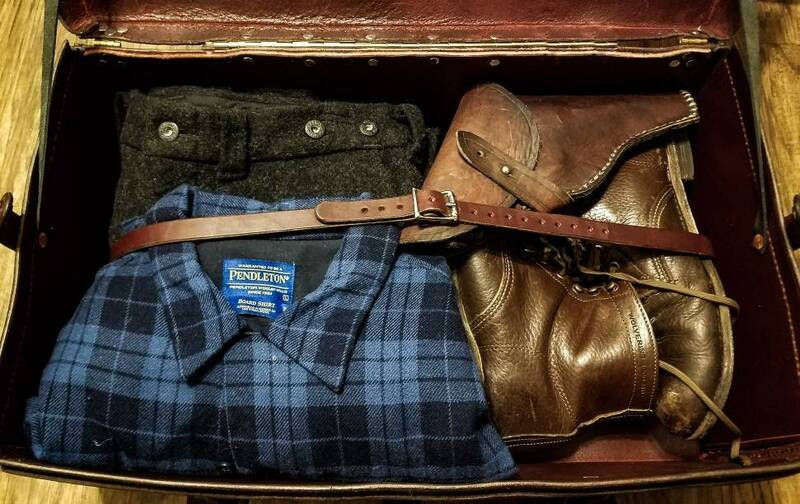 It's carry-on size. It might be a little heavy fully packed if you have to hump it a long way, but I love it. Smells great! This is a great shop!